from ground to the skies. we help build your dreams. With over 200+ employees and expanding branches, we as a group strive to deliver quality oriented products and humble services. The stiffer the competition, the harder we work to carve out a niche for ourselves. For us, Competition means quality service and products provided well in time. Apart from catering to the Domestic steel requirements, we are venturing in to global market rapidly. We aim to co-ordinate a well-established network of diverse ventures that serve sectors ranging from land development, construction, Supply and Building Solutions. Apart from maintaining a high profile of clients and their customised services, we ensure minimal or no harm caused to the environment. The same has been backed up by the ISO 9001-2000 mark of quality. We take pride in our significant quality measures and timeliness, leading our consumers to a guaranteed 100 percent satisfaction and cultivate their trust. We are always looking out for new opportunities and means to serve the building material industry. Apart from catering the needs of business giants of Steel and manufacture industry, along with maintaining an impressive list of clientele, we aim to expand and reach out to the global market alongside venturing locally. Our mission is to provide the best in class building materials to the construction industry and resellers. Along with expanding our branches within the south India, we aim to build a stronger and durable India. With Quality as the heart of our product we are dedicated in venturing the ever-growing market of real estate. We as a group have a vision of where we want to go, and it’s really exciting. With a growth rate of around 150% in the last 30 years, and dealers across South India, we are forging ahead in the Indian Market. To achieve our vision, we are always looking out for new opportunities and means to serve the building material industry. We take pride in our quality, discipline as well as timeliness forever leading our consumers to a great overall experience. With an intense quality check and most competitive prices currently available in the market, we aim to strengthen not just our majestic list of clientele but also the rest of the country. We work in accordance with marketed quality standards to serve the customer with best building material suppliers & services without any struggles. We customize and mould our products as well as our services to match with the client expectations. 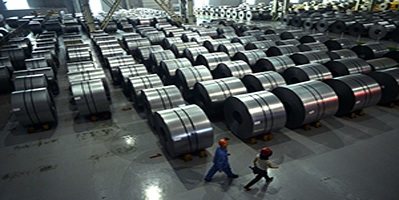 We supply our customers best in class Steel products with high quality & services. Also we serve our customers with best commercial spaces through our wing of companies. Banking upon the unbeatable quality, unrivalled services and industry-leading competitively priced products, today we are positioned as the forerunners in supplying building materials for engineering and construction industry with a wide dealer network across Karnataka. We stand by our promise of quality products with the discipline of delivery in time. Our consistent and strategized marketing helps us to develop products that match and excel according to the developing steel market. We strive to match international standards of production and service along with expanding our areas of manufacture. We are growing with a great pace and we take great pains in ensuring the quality is the first and foremost mark of our brand. While venturing out to the biggies of the market we also want to reach to our local consumers and ensure their needs are met at the most competitive prices. We are men of steel and would ensure, with our growing business we are not only bringing strength and quality back on top charts but also ensure that we mould ourselves as per our consumers’ needs and demands. Their Satisfaction is our biggest achievement. We pride ourselves with respect to top-notch client administration. We ensure none of our client queries go unanswered and hence provide services and queries accessible from telephone calls and email. You will have an assured reply merely within minutes or hours of extending them to us. Our qualified Sales/marketing representatives in the field along with our talented in-house experts will ensure you and your business is in trustworthy hands. Furthermore our customer focused staff at the office will help you take the best decisions based upon the variety of choices available. Our honest approach with the impressive quality and backed up with the customer care has been of our greatest strengths in the our progress. We value the business and of course our consumers have helped us reach this place. We wish to continue imbibing strong trust values, along with surpassing the quality mark as we grow bigger in the market. We are into two services, Steel Supplier and Building Solution. SL Steel Supplier is authorized stockiest and distributors of SAIL / RINL / JINDAL PIPE/ Specializing in long, flat and MS Tube products. Shri Lakshmi Steel Suppliers has grown to become one of the largest steel suppliers of South India.Shri Lakshmi Steel has bagged many accolades for its matchless performance and service. SL Living Space Pvt. Ltd. is the property holding and investment wing of Shri Lakshmi Group. With investments in properties spread across Karnataka, Barnala properties plans to venture into development of high quality residential and commercial projects in South India.